There is no limit to the creativity of the busy parent. All of these ideas are just brilliant and will shave time and money from your busy day and your ever-shrinking pocketbook. How about magnets for your child’s cup so it can stick to the fridge? Or maybe a hand shaped sticker on the side of your car? Have your child place their hand there to deter them from wandering off in a busy parking lot. 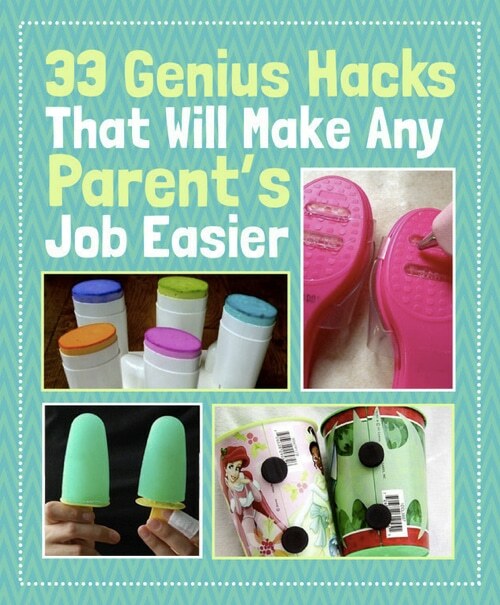 You’ll love these little life hacks.